Since changes are always happening with your business, Housecall Pro makes it easy to remove estimates that have been created in your account. Go to the estimate details page of the quote you would like to delete and click on the wrench icon toward the top right of your screen. You'll be taken to a confirmation window. 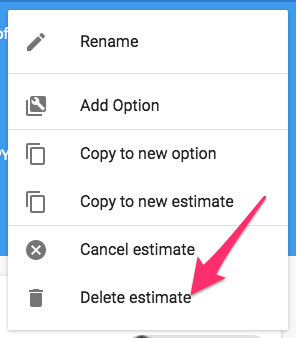 Click 'delete' in the bottom right to confirm and your estimate will be deleted. Follow this same process to delete a job!